To lead the charge, you have to be ready for just about anything. The 2018 Ram 1500 has been crafted to handle just about any situation you may encounter. Through innovative engineering, robust powertrains, and advanced technology, the 2018 Ram 1500 for sale in Bossier City, LA will ensure you have everything you need. If you’d like to get equipped, come visit us at Landers Dodge Chrysler Jeep RAM and test drive a 2018 Ram 1500 near Minden, LA. Our sales people are ready to answer your questions and help you explore our impressive 2018 Ram 1500 inventory near Minden, LA. We are located in Bossier City, LA and have served customers from areas near Minden and Shreveport, LA. Stop in today! 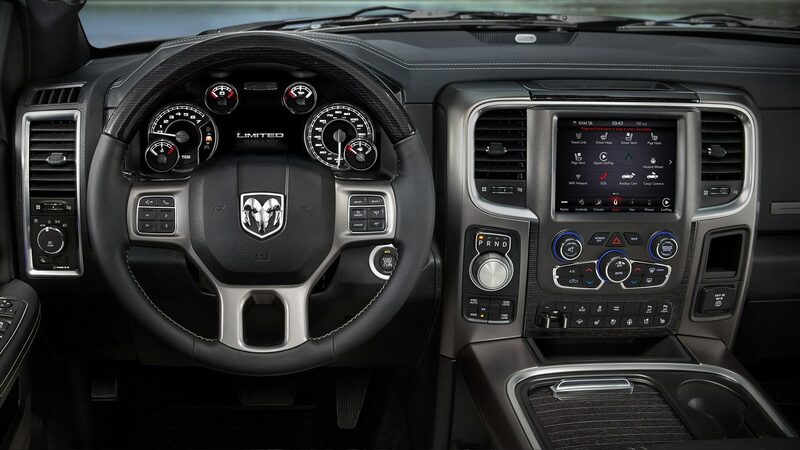 On the inside of the 2018 Ram 150o in Bossier City, LA you’ll find an interior that is built to meet every need you have. In order to accommodate your family or work crew, the Ram 1500 is available with a Crew Cab or Quad Cab® configurations that seat up to six people. If you need more space in the cargo bed, the Regular Cab seats three people and can be combined with an eight-foot bed. 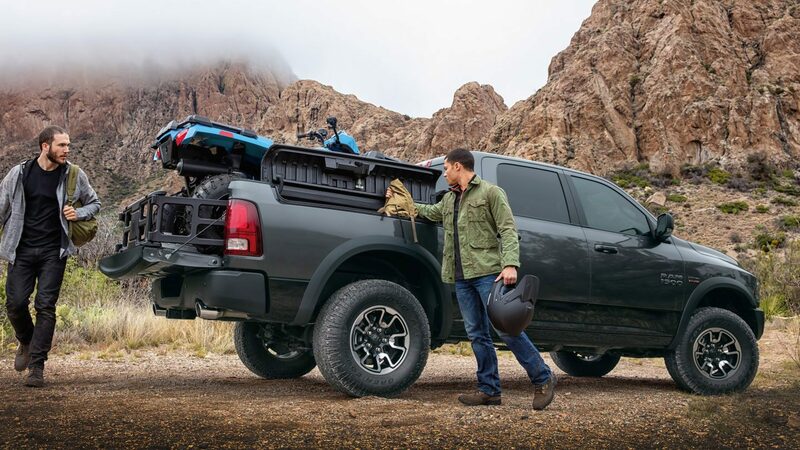 Innovative engineering is highlighted by the RamBox® Cargo Management System which consists of two lockable storage compartments built into the sides of the cargo bed, a storage solution unique to the Ram. The Ram is suited to work or luxury with heavy-duty vinyl or sumptuous leather trimming the seats. Speaking of charging, the Ram 1500 offers USB charging ports which connect to the available Uconnect® infotainment system. Using the 8.4-inch touchscreen you’ll have access to your smartphones best features thanks to Apple CarPlay® and Android Auto™. The system also features navigation, SiriusXM® Satellite Radio, WiFi connectivity, and even remote vehicle start. 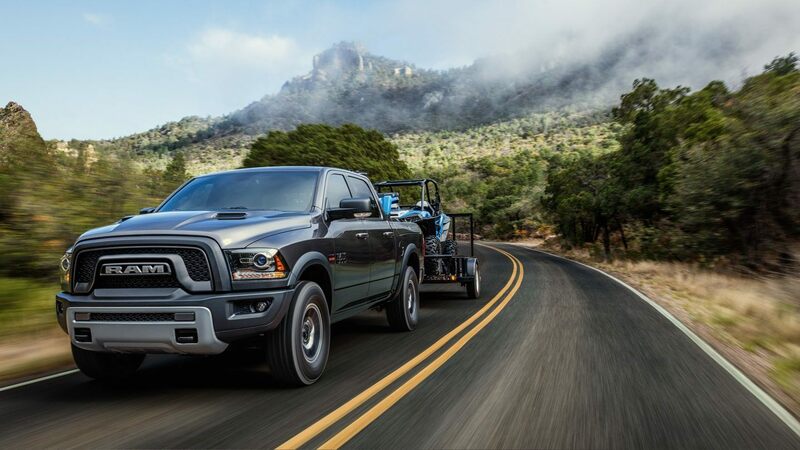 When it’s time for work, the 2018 Ram 1500 is available with Active-Level™ Four-Corner Air Suspension which automatically levels the suspension as the truck is loaded. The suspension system will automatically lower the ride height at highway speeds in order to help improve fuel efficiency. The Ram 1500 offers three engines starting with the 3.6-liter Pentastar® V6 which offers 305 horsepower and 269 lb.-ft. of torque. For serious torque and impressive fuel economy, choose the 3.0-liter EcoDiesel V6 that produces 240 horsepower and 420 lb.-ft. of torque. Max power is provided by the legendary 5.7-liter HEMI® V8 engine that churns out 395 horsepower and 410 lb.-ft. of torque. Handling the power is an advanced TorqueFlite® eight-speed automatic transmission.